WE GIVE QUOTES OVER THE PHONE, the price we quote is all you pay. PROMPT SAME DAY SERVICE, covering Merseyside. HOME AND BUSINESS ALARM SYSTEMS, that you can trust..
Alarms Liverpool are not on trade sites, this will help reduce pricing for our customers. We are insured and approved installers, we have been trading over 25 years, we can give full quotes over the phone, we cover all of Merseyside, same day prompt service. At Absolute Alarms and Security Systems, we know that a secure house means a stress free home. we have the experience and understanding required to fit your home or business with a security system suitable for all. Most of our work is of word of mouth. We are proud of the positive reputation formed from our installations. DVR + HDD included, 2 HD Cameras. Absolute Alarms Liverpool, are committed to providing the highest quality service. Absolute Alarms Liverpool, will give you a FREE dummy bell box, as well as an additional internal sounder, to complement your new system and make it complete. Absolute Alarms Liverpool will provide a simple CCTV system for viewing your driveway, front door, car or back of property in a few Hr’s. All our CCTV systems are the latest and up to date, at the time of installation, we do not use CCTV equipment that has moved from he Security sector to the DIY sector, this will give you the best for your moony and the quality you can expect from absolute alarms Liverpool. 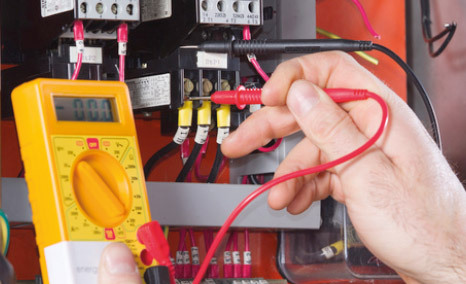 Absolute Electrician Liverpool can now provide a Professional Electrician,Whether you require a simple mains socket fitting or a full blown lighting design and installation service, our electricians are available for all jobs, no matter the size or scale. Certification and periodic testing and inspections, are just a few things that can be arranged. head on over to our electrical section on this website. Why not give us a call, it could be more conveinant to get the quote or answers you are looking for. Buying electronic security to secure your premises is a very important decision, whether for domestic or commercial premises. It is essential that the products you choose give’s the protection you want. It is equally important that the quality of the installation work, and the ongoing service you receive from the installation company, meets proven industry standards. at ABSOLUTE alarms Liverpool, we will give you the support you require.You can contact us at any time, we operate a 24 Hr service. Domestic burglary has risen by more than 30% according to the latest police recorded figures.  Knife Crime up 21%. The latest recorded crime figures also show there were 261,915 domestic burglaries in the year to September 2017 – a rise of 32%. However it is important to note that these levels are nowhere near the levels seen in the 1990s when crime peaked. Indeed figures from the separate Crime Survey of England and Wales (CSEW) – also released which are based on people’s experiences, suggests crime continues to fall. This survey, based on interviews with 35,000 households in England and Wales, includes crimes that people do not report to police. Jayne Pascoe, Strategic Partnerships Director for Neighbourhood Watch, said “The recorded figures reflect what we’ve seen here at Neighbourhood Watch with more people contacting us to want to set up a scheme in their area. “So now, more than ever, home security is an important way people can take an active role in protecting their homes. “To prevent burglary the most important thing you can do is make your home look like there’s someone there at all times and to fit good window and door locks and ALWAYS leave a light on when you’re out for the evening.” Its recommended. that your home security system is up to date and serviced well. Crime levels are nowhere near the levels seen in the 1990s, because more homes and business have new security systems, such as what you will find on this website, by Absolute Alarms Liverpool. Mark Bangs, Crime Statistics and Analysis, Office for National Statistics, commented on the latest figures. “These latest figures indicate that levels of crime have continued to fall compared with the previous year, but this picture varied across different types of crime and not all offence types showed falls. Our pricing policies, has not changed in five years, however we have removed ourselves from payed telephone directories and trade sites, as there pricing for adverts no longer justifiable, this means we can maintain a good pricing structure, we have been trading a long time so the internet social media and networking is our goal, having said that 80% of our leads come from customer recommendations. have a look at this video this explains why alarms Liverpool, don’t advertise on phone and trade site directories its a little bit of fun to watch.